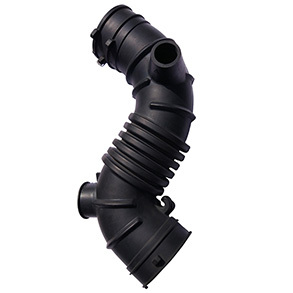 In order to produce exceptional rubber molded components and products, Wuxi Aomeite makes efficient use of the rubber injection molding process. Rubber injection molding comes with many benefits such as high volume and tight tolerances as well as the flexibility for over-molding and precision applications. Furthermore, relative to other processes like transfer molding and compression molding, injection molding has much higher capabilities in automation. Due to the processes strict control over flash and waste with quick rubber cure times, this molding process is the optimal method for a wide variety of components. However, injection molding is best suited for high volume applications, so not all cure systems and elastomers are compatible with the process. At Wuxi Aomeite, we have a team with more than enough combined experience with rubber injection molding and other methods. This gives us an unparalleled ability to help customers determine the proper process for their applications. The process of rubber injection molding begins with an uncured rubber ribbon stock. This is fed into a rotating screw of the injection unit. Controlled amounts of material are then pulled into the unit where the material is plasticized to a specific temperature. Next, the rubber is injected into the mold through a runner and gate system, exposing it to high pressure and temperature. This activates the cure system in the rubber compound, vulcanizing the rubber. The cycle time is set to achieve the desired curing level, and once the cycle completes, the parts are removed to prepare for the next cycle.